Therapeutic orthotics or orthopedic shoes can influence the health of your entire body. Unfortunately, many Canadians suffer from some sort of foot problem and have no idea that it may be causing other impairments. From over-pronation to flat feet and back pain, there are numerous ailments that can be alleviated with the daily use of orthotics. Hammertoe – Causes painful toe problems in the middle joint of the toe, forcing it to bend downward. 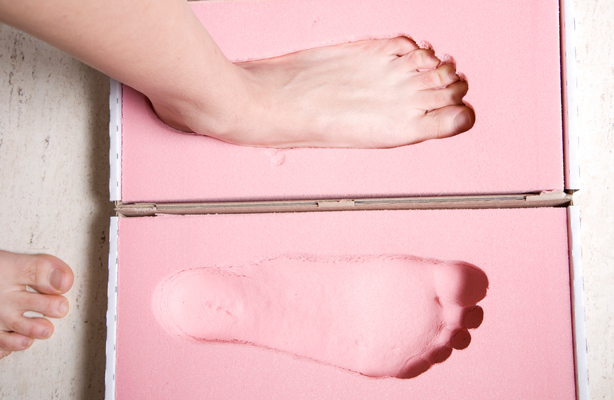 Flat feet – A common condition that causes the sole of the foot to come into complete contact with the ground. Plantar fasciitis – A condition that results in heel pain caused by the flat band of tissue that connects the heel to the toes. Metatarsalgia – Affects the ball of the foot and common in women that wear tight shoes or heels frequently. Restoring your ability to run, walk or even jump by reducing the pain and swelling associated with your foot problem. Providing you with better support around the arch of your foot. Increasing the stability of unstable joints in the foot and ankle. Easing problems in other areas of the body – including back and hips. Improving the overall health of your ankle and foot. Supporting your body more efficiently, which helps align your body. Although you can buy some orthotics inserts off-the-shelf, those don’t work as they should, because they are more made especially for your feet. You need to see a specialist to have a customized orthotic insert created based on your foot condition and the special measurements of your feet. The team at Comfort Stride can assist you with your orthopedic shoes in Toronto. Our team will assess your overall foot health and help identify the level of support you need. Custom orthotics are available at Comfort Stride. Call 647-989-7794 to book an appointment with our specialists for your orthotics.